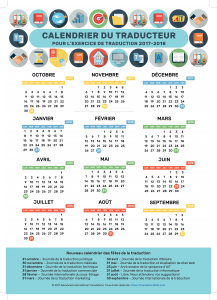 Thanks to Evelyna Radoslavova (www.TranslationBest.com) the French version of “translator’s calendar” is available. Download and print out the calendar for the new translation year. ← Now Legal: International Translation Day greetings from AIT!